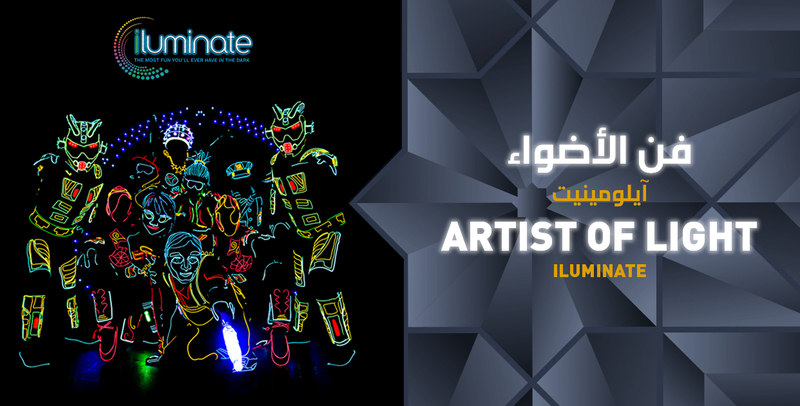 Founded by dancer and software engineer Miral Kotb, iLuminate™ enables performers, choreographers, engineers, technicians, stylists and artistic directors to produce explosive performances with customized wireless lighting programs. The results are extraordinary lighting effects choreographed with phenomenal dance moves that take viewers on an exhilarating ride. iLuminate™ has performed across the globe for various events and continues to perform at numerous corporate events across the United States for such prominent companies as IBM, Lenovo, Opryland, Energizer, Dell, Cisco, Olympus, Starwood Hotels, and many others. 2012 saw the company open the production arm of their brand. Their first feature show was performed at Six Flags theme parks, where over 4,000 people a day were part of sold-out crowds to witness this all new event. iLuminate also installed two unique shows on the esteemed Crystal Cruises ships, which continue to perform weekly at sea. The iLuminate show played to sold-out audiences at the Duke on 42nd Street in 2012 then re-opened for a two-year run at New World Stages. The show has since been on tour in Mexico, Malaysia, Hong Kong and across the states. Their technology has also been used in shows in Europe including Robin Des Bois in France and Believe, a Holiday on Ice production. And even by tennis player, Serena Williams, in her own special event. iLuminate’s most recent focus is on education. They have had educational tours in Central Asia and New Zealand and recently did a week-long workshop at Cortland Repertory Theatre in which high school dancers performed in the dark in lighting suits their fellow student technicians created and programmed. Small intimate space, designed to host events ranging from a single performer or artist through to a larger company or production. Dress code is Smart Casual Photography is strictly prohibited.